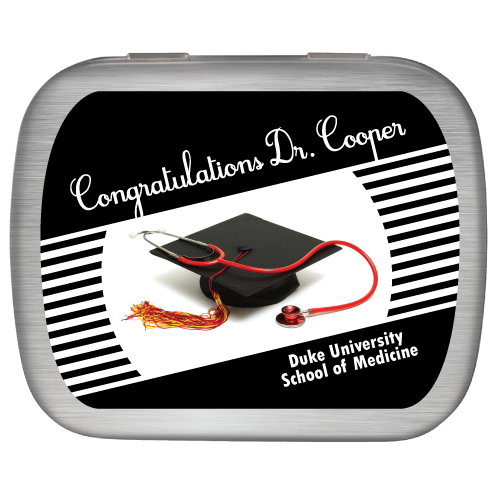 Looking for medical school graduation party favors? 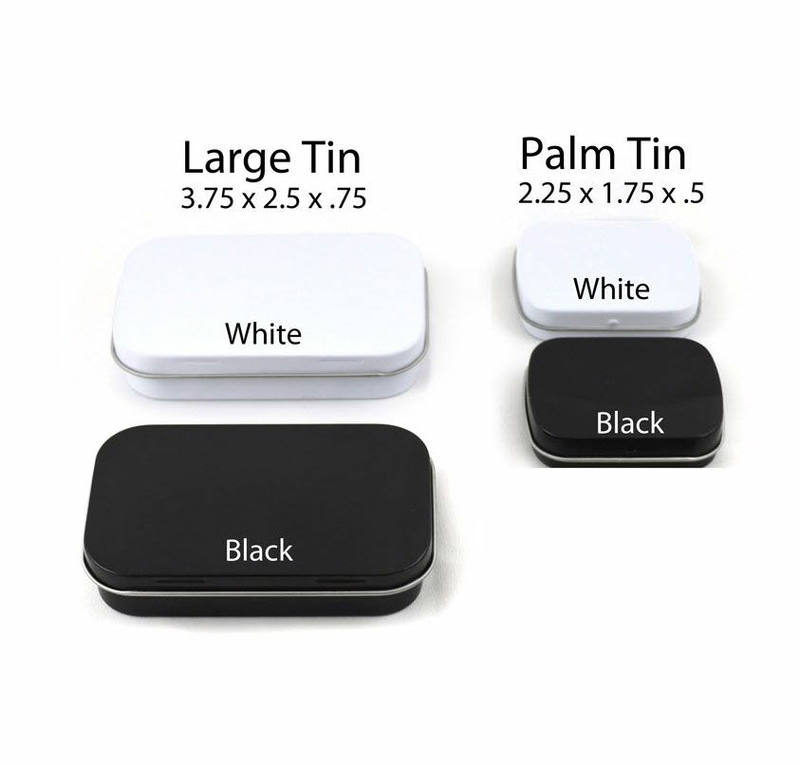 Our custom label mint tins are the perfect memento to celebrate the new doctor. 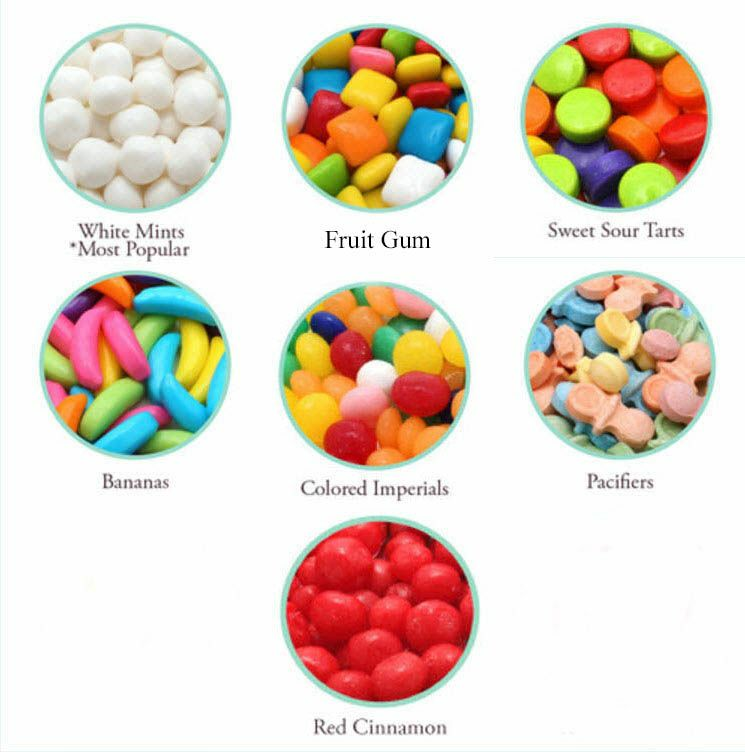 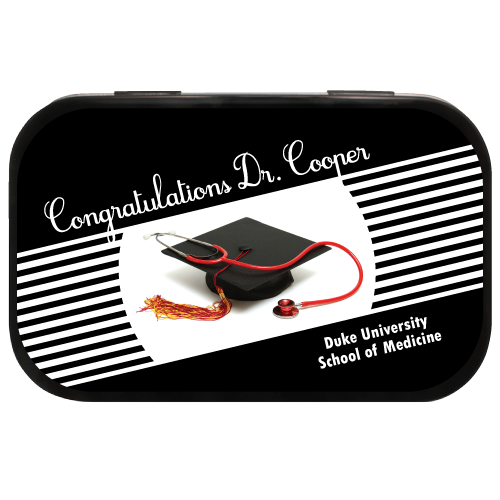 Each comes filled with mints, candy or gum and is sealed. 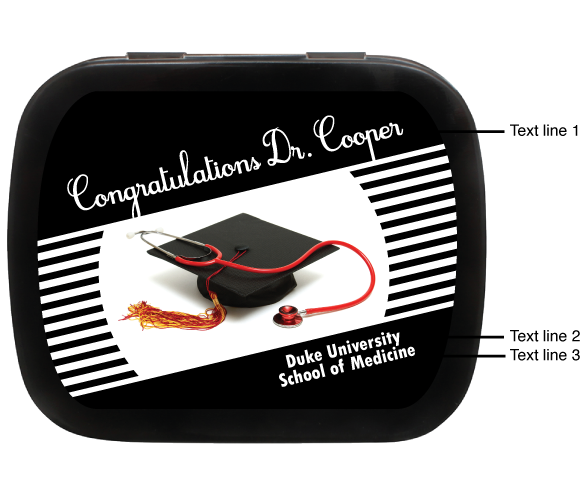 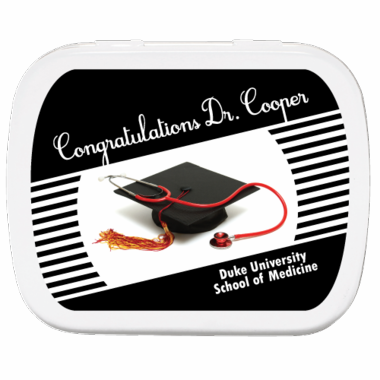 A personalized label showing a grad cap, and red stethoscope comes placed on the top of the tin.